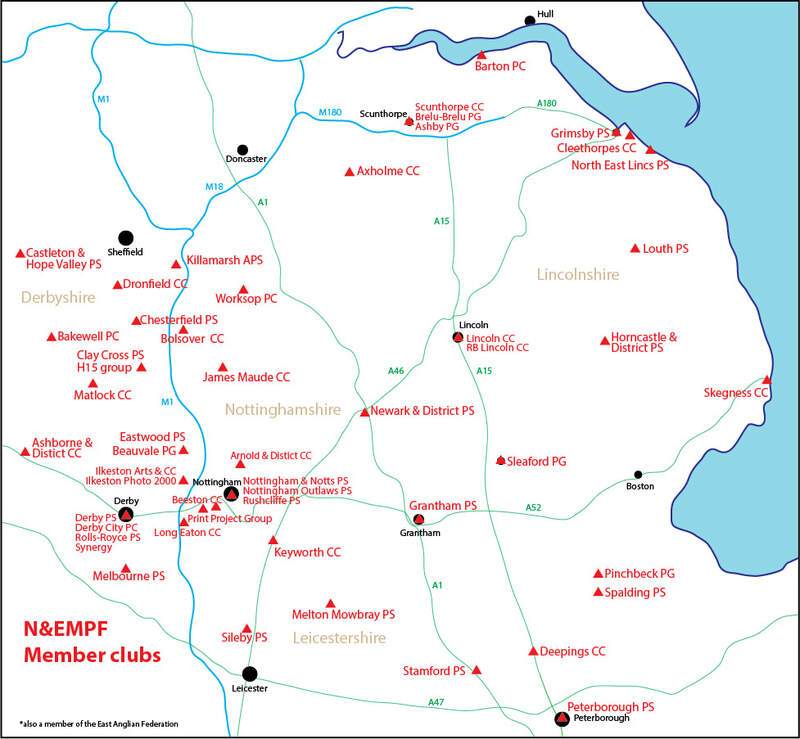 Please click to view an enlarged version of the map to see all clubs within the Federation. The Clubs listed below are all affiliated to N&EMPF and all of them will offer members new and old a warm welcome. Regardless of where you live in the region there is a club close by. Whether you're an old pro or just starting out, all the clubs hold a wealth of knowledge and experience just waiting to be tapped. Club meetings, talks and competitions can help even the most experienced photographer get that little extra something from their camera. If you cannot find the names and addresses of Clubs from the links below, they are available from the Federation Secretary.